Dynamic analysis determines the response of structures and equipment that are in motion as a result of applied forces. It is carried out when loading is time-dependant, or when inertial forces (forces associated with the motion of a body) have to be considered. Dynamic Analysis can typically determine the response of a vibrating feeder and crusher structure to ensure that the vibration levels are kept to acceptable levels. 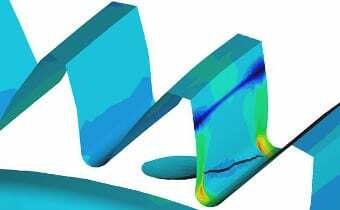 Fracture mechanics is used in engineering to establish acceptance levels for flaws revealed by the use of non-destructive examination techniques. This in turn leads to the concept of fitness for purpose. A mechanical structure is considered adequate for its purpose as long as the conditions to cause its failure are not reached. Deacon Engineers have the expertise to carry out flaw assessments on a fitness for purpose basis by offering post-crack initiation study services. 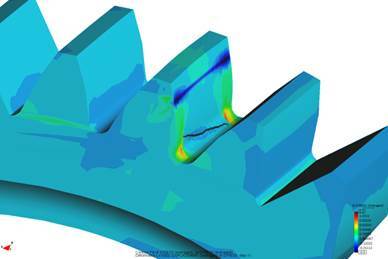 Computational Fluid Dynamics (CFD) Analysis is used to model fluid flows, from highly viscous fluids as slurries to low viscosity fluids as air. It is used to model simple closed loop systems as well as complex multiphase transient systems in order to determine the behaviour of fluids and the effects this has on the equipment. CFD is used to optimised systems to reduce flow restrictions, cavitation, pressure transients and the like which in turn reduces equipment operating costs.